Starting with the felt, cut a strip along the longest end, 1-1.5 inches wide, that will be your base for the headdress. 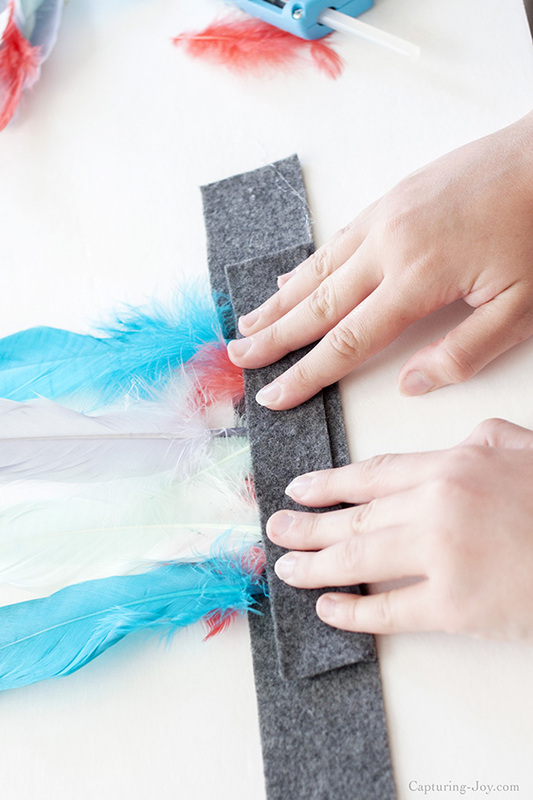 Lay down the feathers, with shortest in front, put little glue dabs on top, then lay taller feathers on top of that. 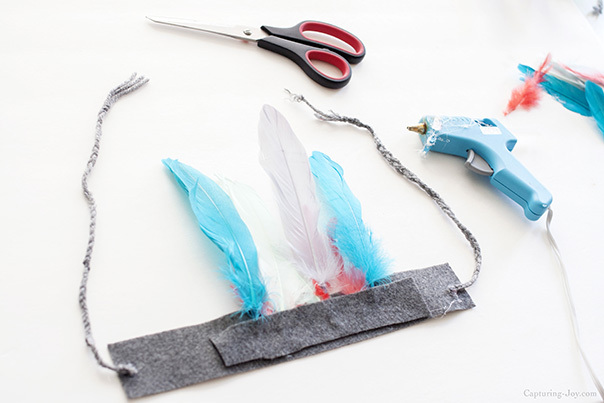 Line glue all up and down the top of the feathers, and create a smaller strip of felt to sandwich the feathers in with even more glue. 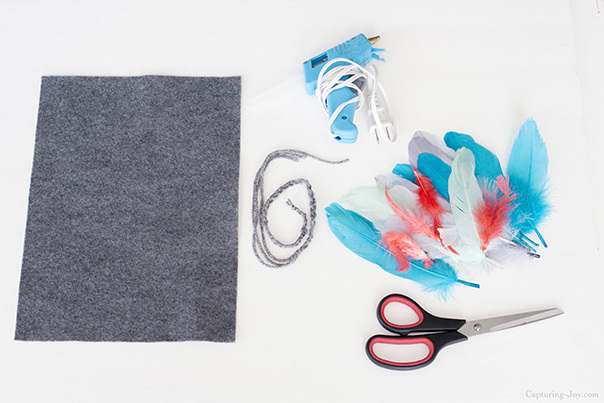 Make sure the feathers don’t go below the felt on the bottom. This backside part won’t show, so it doesn’t matter too much what it looks like. With 3 strands of yarn, tie them in a knot at the top, and braid about 2 feet long. Once the braid is complete, cut it in half, with knots at all 4 ends. Glue braids on the sides of the felt. Tie on your headdress, and go play! 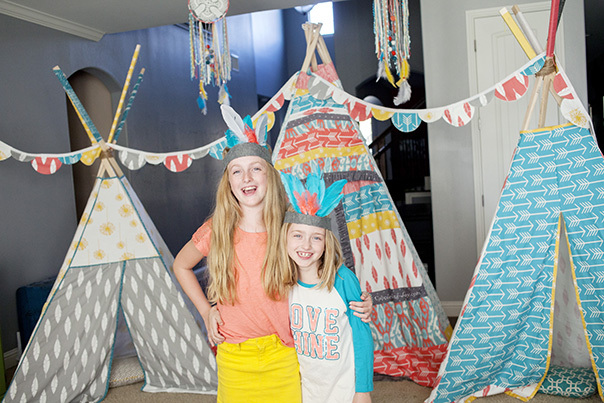 Here is a picture of my girls at the TeePee Birthday Party wearing their headdress’. 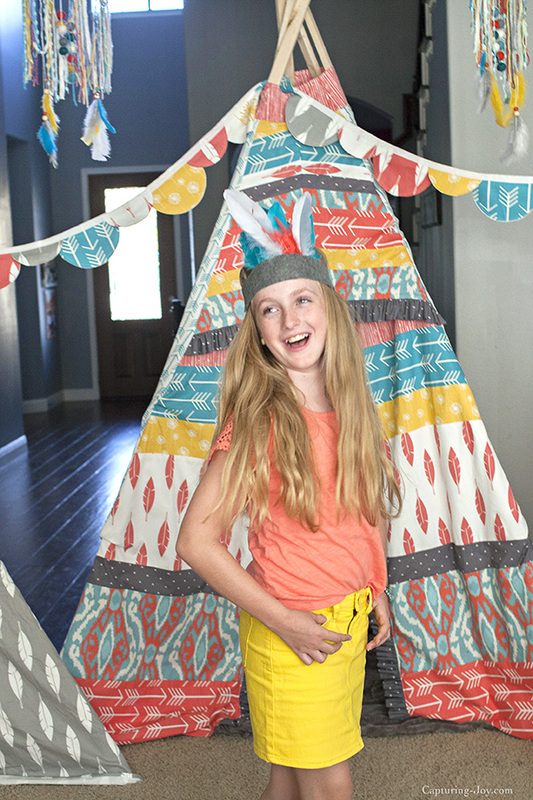 Come on over to my site, and check out more details from the party, including the amazing teepee cake, feather cake pops, fabric teepee’s, and giant string art. 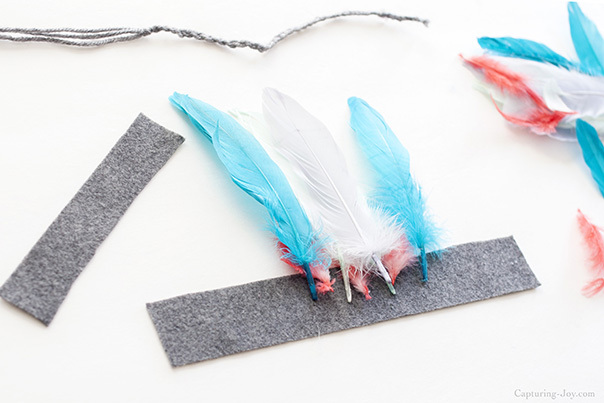 Summer is great for crafting, and enjoying time with the kids, and this is a great activity to do just that…maybe just get boy-ish feathers for the boys, and they’ll have fun right along with you.